It turns out that the last car of the legendary musician, John Lennon, was a Mercedes-Benz 300 TD Wagon. Fans of the Beatles member and car enthusiasts will finally get the chance to take the historic car to their garage via an auction next month. 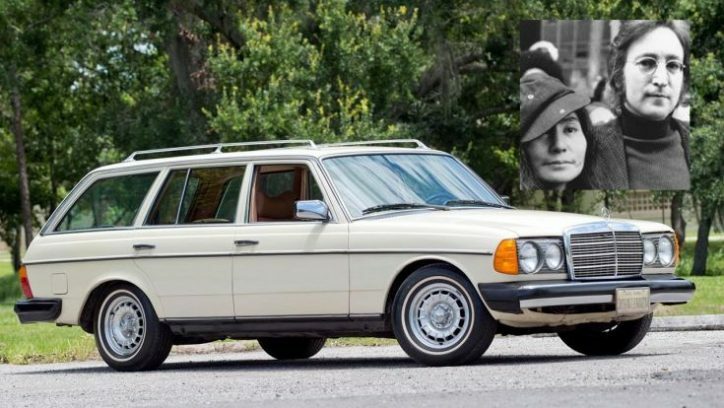 According to Fox News, the Mercedes-Benz 300 TD Wagon of Lennon will be put on the block by Worldwide Auctioneers in Auburn, Indiana, on September 1. The auto will be offered without a reserve or pre-sale estimate. The car was bought by Lennon in the late part of 1978 for $30,000. Taking inflation into account, the figure amounts to $90,000 these days. The price shelled out by Lennon for the diesel-powered Mercedes was more expensive than its actual selling price during that time because the car was not yet available in the US. Seeing the need to upgrade their family car from their old 1972 Chrysler Town and Country station wagon, the singer wrote a check to Mercedes with the said amount so that the automaker will fast-track his acquisition. After that, the German luxury car maker transported the unit across the Atlantic for him. Lennon was the first to own a Mercedes-Benz 300 TD Wagon in the US. It was also the last vehicle he purchased before his eventual demise in the hands of Mark David Chapman on December 8, 1980. The car was reportedly parked in the garage of the singer’s apartment building the day he was shot. Lennon’s family kept the Mercedes-Benz 300 TD Wagon until it was sold in 1986. The car changed hands from one buyer to another ever since.